Brown Paper Packages – Pottery, paintings, photography, and more! Now that the leaves have fallen, the bones of the trees are once more visible. And, suspended high above in one of the backyard trees, is a wasp nest. After the initial surprise, I was able to appreciate (from afar) the beauty of this creation. 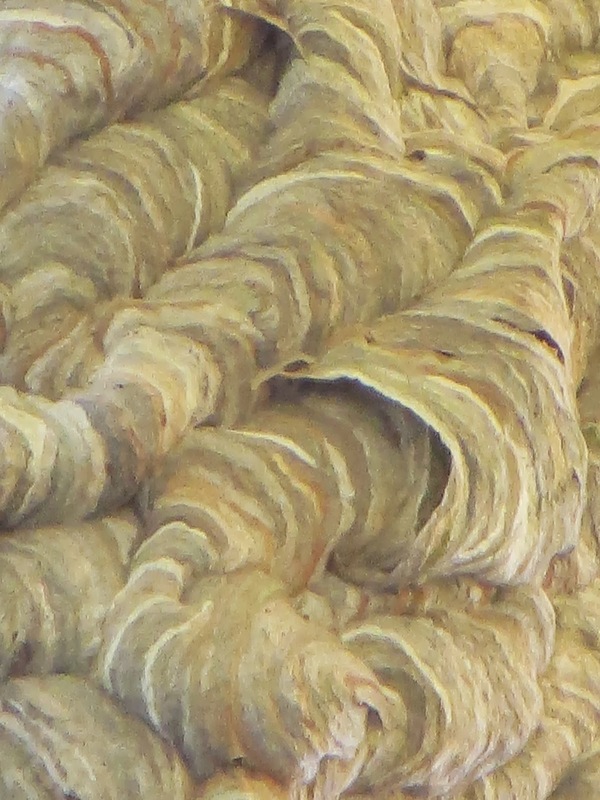 This nest is made from paper made by the wasps. The swirls and spirals a work of art.